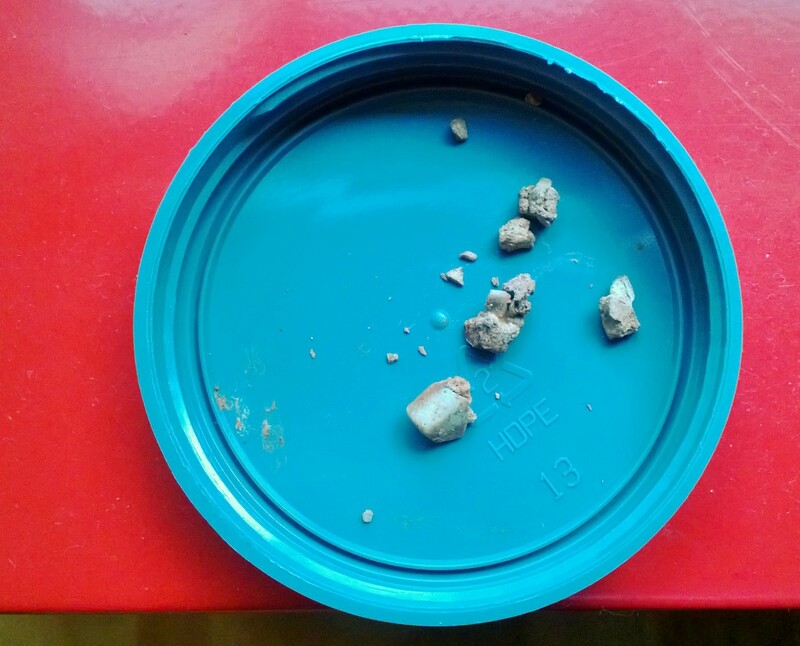 Gallstones from my surgery last May. They resemble teeth, in a way. It’s been six months since I had my gall bladder removed and almost one year since the attacks started that led to me being hospitalized with jaundice, and learning about my gall bladder issues. I’m thankful today for good health, and I’m specifically reminded of last year’s health issues during Thanksgiving. The weeks leading up to it last year left me afraid to eat almost anything (juicing, that’s the solution!) and cancelling my plans to attend a friend’s gathering because I didn’t want to be that person who asked if this dish or that dish was prepared with butter. (It’s Thanksgiving—what isn’t prepared with butter?) I made a vegan dessert—thinking that might solve my problems—that didn’t taste very good and ended up throwing most of it away. Following my diagnosis in mid-November, I changed my diet pretty drastically. I did a lot of research on the Interwebs and talked with a friend who had also been diagnosed with gallstones. She had met with a surgeon and was considering surgery, but her symptoms went away and never came back. She drank a lot of apple juice, which sounded like a good idea to me. My symptoms continued to wax and wane. During one of my first days at work, my boss took me out to lunch. I ordered a pasta dish and forgot to ask if it was prepared with butter or olive oil. Given the discomfort I felt afterwards, my guess is that it was prepared with butter. I was able to finish the day at work, but felt frustrated with myself and this new condition that I was living with. I was still confident that I would come out on top, or maybe I was just in denial. I cancelled Thanksgiving Day plans because of this lunch incident and because I didn’t want to be *that* person who asked: What is this made with (when looking at every dish)? I even had a great idea for a gluten-free dessert, which I ended up making and which wasn’t very tasty. Sigh. I drank apple cider vinegar and read about liver flushes that you could do by at first fasting, or eating apples, and then drinking olive oil mixed with citrus (typically lemon juice). That didn’t sound appealing, quite honestly. I tried turmeric and milk thistle. I wasn’t eating any red meat or fried foods, and cut back on high-fat dairy, including cream in my coffee. I got into “Scandal” earlier this year. I’d held off … most likely because I find smart and even sometimes soap opera-y TV shows to be quite addictive, and I was trying to limit my viewing. With Netflix streaming and other online services, it is easy enough to burn through a short season in a long weekend, too. So after burning through “House of Cards” and reading articles about the trend to cover D.C., I started watching “Scandal,” catching up on the first two seasons shortly before the third season kicked off. 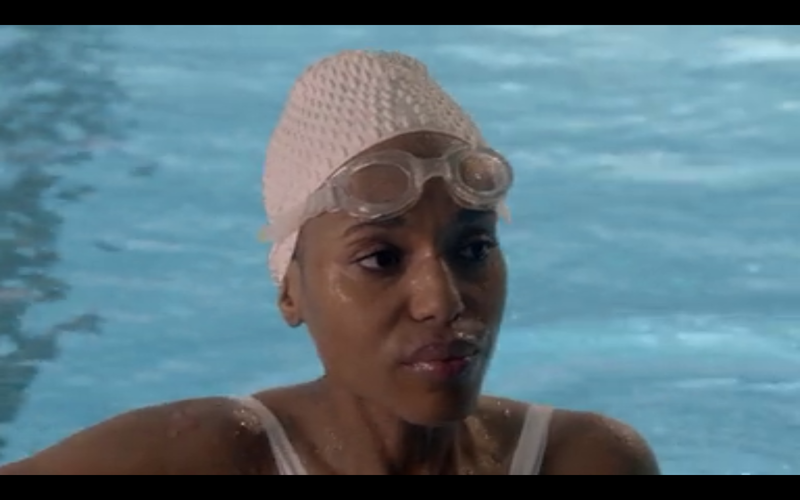 I was intrigued by the detail that Olivia, played by Kerry Washington, is a swimmer. She swims laps on occasion to blow off steam and stress, while retaining her stylish ways. I am no Olivia Pope, but I grew up swimming, was a lifeguard and taught swimming lessons while in high school and part of college. I recently got back into swimming more seriously for two long-distance events, Park to Park, and Swim Across America, a two mile swim, which was a new record and challenge for me. I was part of Team Ben Towne Foundation, raising money for pediatric cancer research. I really love to swim, even when doing the crawl for two miles in a lake feels like it takes three hours and my arms feel like lead weights. In reality, it took one hour, 21 minutes. And I think it will feel even better next year. Don’t move, don’t breathe. Don’t move, don’t breathe. Those commands can be jarring and, of course, constricting. It’s what the technician says when you’re getting a mammogram. If I move, will something else show up on the film? If I breathe, will that appear as something abnormal on the test? While waiting for my results, I heard the technician in the room next door offer similar instructions to her patient. It was probably the woman in the yellow sweat pants and shoulder-length blonde hair. She’d been accompanied by her boyfriend or husband. I was among a handful of women, all of us white except for a woman rescheduling an appointment, at Seattle Cancer Care Alliance that day. It had been two years since my last mammogram. Yes, that is a confession and I was raised Catholic. I was overdue, I know. But the last time I went, my visit was so traumatic and I still felt a bit scarred, and anxious. I needed a biopsy, which was incredibly stressful. And research that I’d read (and helped to promote by Dr. Joann Elmore of the Univ. of Washington) about false positive exams and the toll that can take … well, I was living it two years ago. I felt a heaviness in my left breast in the days leading up to this appointment. That’s the one that has a small titanium rod in it, following the biopsy. Writing that makes me want to sing, of course: I’m bullet-proof, nothing to lose, fire away, fire away. I then started thinking that I might be mentally causing some malignancy by having these negative thoughts. The power of positive thinking, it’s important, experts say. When I booked an appointment, I had the option of immediate results or waiting for them to be mailed. I grabbed the first option, not wanting to go through what I’d experienced before. If something was up, let’s discuss it and keep moving forward. The technician was great. We talked about traffic on the way to work. Mine was easy, given that I lived right down the street, and even if there was a slow-moving truck in front of me. She had a drive that took more than one hour. I wore a dress to my appointment, not the best choice given the gown you have to change into. She helped me keep mostly covered up in my exposed state. It was just us girls in the room, any way. Right arm out first, and then left, and then repeat for side views. Don’t move, don’t breathe. I asked her how things looked. She said the slides looked the same as the last time I was there (a positive, I thought). She asked if I wanted something to drink, water, after the screening was finished. I said that water would be great. I needed to stay in my robe and not change back into my clothes, she said, because the radiologist might want more pictures. The water never arrived. My magazine options were US Magazine and a cancer care and research journal. I stayed away from the latter, remembering how I made myself a little crazy the last time by reviewing my medical chart. The technician knocked on my door and very formally announced my name. It was the same woman who had helped me the day of my biopsy two years ago. She said my slides looked fine, and I could come back in one year. I told her we’d met before, the last time I was at the center. She looked in my chart and said oh, yes, I see my signature here. Of course she’s seen a million patients. But I remember her helping me get through that difficult day. And I was grateful that she delivered the good news this week, too. 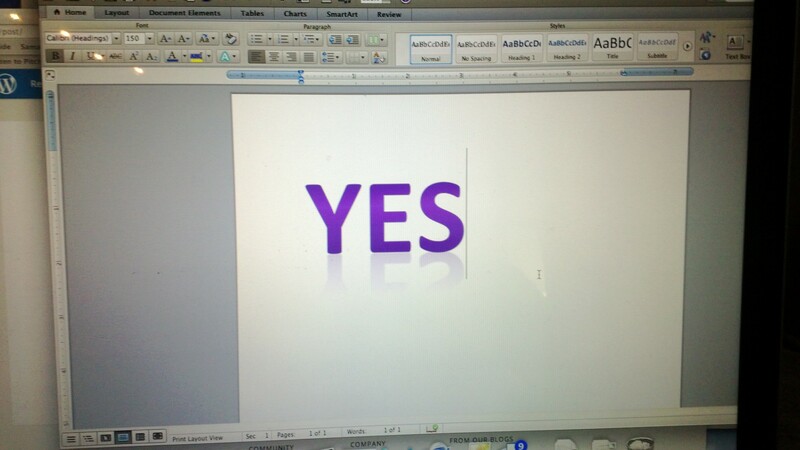 What does “yes” look like? I’m saying “yes” these days to adventure, eating vegan (B6, mostly) and finding a new level of happiness. “What smoking, drink and the wrong man had done.” That could have been me, but I only had a few months over the course of a few years of damage. I’m still a bit green in terms of this change, if that makes sense, though in many ways I’ve always said “yes.” The yoga retreat in Kauai was a boost and reading “Wild.” Starting Bar Method in April kind of kicked off this new perspective, and then ballet lessons. I’m drinking less (mocktails with Lisa B. and Chloe!) and my rewards the other night included an impromptu ballet performance, Taylor Swift’s “I Knew You Were Trouble” on the way home on the radio and a gorgeous sunset with radiant and explosive colors of gold, white, pink and blue. I’m saying “yes” to a quick walk down the street with my camera after spying a pre-rain rainbow in the early evening. It was gone, alas, but I captured some pretty photos of the sky and crew members on the Montlake Cut heading towards Lake Union. And I’m saying “yes” to attending my high school reunion in August. At first glance of the post on Facebook, I thought “no,” because I was already going home at the beginning of the month. But I haven’t been to the last few reunions. And then FB friends forwarded the invite. Shannon, whose locker was just a few steps away from mine from 7th through 12th grade sent me an email message about the reunion. And the plane ticket wasn’t that expensive. So I’m going to do it. Oops that my parents won’t be home and I’ll need to rent a car and will maybe want to stay near Midway on Sunday night, because my flight is early-ish on Monday. Julie Robertson, class of ’87 at DePauw University, and a sorority sister we fondly called “Pluck” because of a Woodstock costume she wore during rush, died two days ago from ovarian cancer. May she rest in peace. Books read: 1, Wild: From lost to found on the Pacific Crest Trail, by Cheryl Strayed. This was really the perfect book for me to read, even if it sounded cliche to take on a yoga retreat in Hawaii – Cheryl’s mother died, her marriage fell apart and she went to find herself on the trail. I’m inspired to visit some of the places she described along the trail, inspired to be even more adventurous and take trips in the wild and calm. Rainbows viewed: At least half a dozen, while experiencing yoga on the lanai. Hope that my photos captured it. Animals heard, day and night: Geckos, cows, chickens, roosters, dogsVegan meals: 7 + – I think I’m a convert. I know, it surprises me, too. I lost weight, feel wonderful, didn’t miss any foods and my skin looks fabulous, too. I may opt initially for Mark Bittman’s Vegan before 6 or VB6 as the cool kids say. Smoothies: 12, estimate. Pina colada on the final day (virgin, of course). Recipes to try: Coconut lime banana bread, Okinawa sweet potato curry (if I can find that potato here in Seattle), raw pumpkin pie- some from Jennifer’s 30 Minute Vegan cookbook. Yes, we were blessed to have her as our chef for the week. 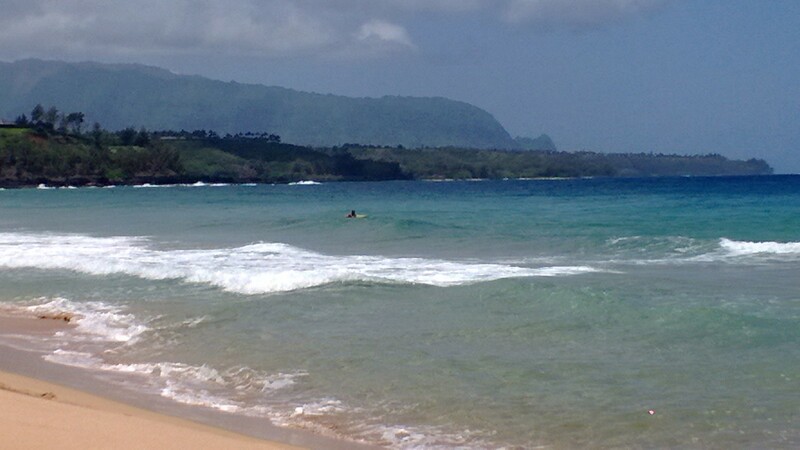 Naked humans observed: 3, at Secret beach. A woman praying to the gods of the ocean, a man rolling on the sand as we left the beach, another man walking in the distance. L walked closer to land so that she could see him. JK. Dolphins: 60, according to a local surfer who captured some film on his birthday. Hurling themselves on the air … Breaching the surface and having so much fun at Secret beach. Music in my head the entire trip: Titanium by David Guetta featuring Sia. And does it not sound like Taylor Swift’s “Love Story” in the beginning? I so need to be a DJ. It’s been nearly a year and one-half since I wrote the infamous “tulle and me,” a blog post about my desire to take ballet lessons and to have legs like the dancers from Trey McIntyre Project or Whim W’Him or … fill in the blank. I made it happen recently, ballet lessons, and I also started a new ballet-esque workout called The Bar Method that I am really enjoying and that has helped to transform my body. I don’t necessarily have ballet dancer legs yet, but I’m on my way, I do believe. I’d been curious about Bar Method classes, and they launched a 60-day bikini body challenge in April that benefits Ben Towne Foundation, which I know through my work at Seattle Children’s. So it seemed like the perfect reason to try – improving my body and donating some money to a great cause (pediatric cancer research). My aim was for 24 classes in 60 days, and I reached that goal yesterday. Yay, me. It feels pretty amazing and I know my body is stronger and I feel more confident and better about myself. Take that, ex-boyfriend who showed up at the recent W’Him show. Skinny khakis that used to fit now fit and a swimsuit I bought to swim laps fit me just a few weeks after I started bar. Kind of amazing and a wake-up call that I had somehow become lazy doing yoga. When I took my first bar class, which typically includes 30 to 40 push-ups, I knew that I hadn’t been working the right muscles. And it’s served also as a reminder of how the body can change as we age. I signed up for the ballet class months ago, after seeing and buying a deal from Living Social. A friend from work had recommended the dance studio, Exit Space. I’ve had three classes so far of eight, and I was thrilled initially just to purchase and have a pair of ballet slippers. No leotard yet, but I have visions of using my footless tights, after seeing what others have been wearing to class. 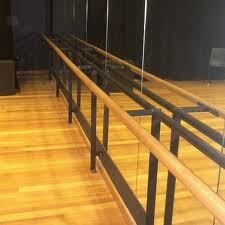 After the first ballet class, I felt a happiness that was indescribable and seemed a bit silly, but it was real. That feeling continues. Bar Method classes have helped strengthen the muscles that help me in ballet, and we will see where it goes. I like the camaraderie at bar, even if at first it can be intimidating because there are, seemingly, lots of perfect bodies. As for ballet, I hope to graduate to the next level of classes and could aim for a move en pointe, though I’m not sure if older students graduate to that level. And I’m off to Hawaii tomorrow for a week-long yoga retreat and strengthening on many levels, so this blog post is perhaps a bit more free-form and quickly written, compared with others. But it’s also overdue, to share the transformation story.